Leading the creation of SAP’s IoT Connect 365 business, making it simple for enterprises to connect IoT devices globally. Founder of wireless Startup xtempus, John has enjoyed both technical and commercial roles. 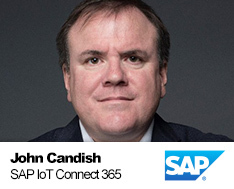 Prior to his work on IoT, John led the global SAP Digital Interconnect IPX business.